The aquisition of a first Leica rangefinder film camera for many photographers is a defining moment on their personal photographic journey. You don’t buy into the Leica rangefinder system on a whim, you buy into it because you know exactly what you want from your camera. Your decisions are made with the expertise, expectations and the knowledge that you have accrued as a time-served photographer. When all that is right and the time is right, then that first purchase of a Leica MP rangefinder film camera will be the right thing to do. My Leica MP rangefinder film camera has been a companion for the past 8 years at the time of penning this and I have no ambition to replace it with a digital M rangefinder camera yet. I like my Leica MP, it fits in seamlessly around my leisure and travel time without complaint. I like the group of lenses I have assembled around it to make a compact, but not necessarily lightweight, travel alternative to the larger format cameras I often use. The little 50mm Elmar-M f2.8 and the 35mm Summicron f2 asph which share the same 39mm filter thread and the ubiquitous 90 Elmarit-M f2.8. The rogue elephants in the group are my Cosina Voigtlanders 12mm Heliar f5.6 and 28mm f3.5 Color-Skopar, which I think are both stars in the CV line-up. CV have put great thought into what they want their range of ltm and M mount lenses to offer. With the release of newer or reworked versions, they seem to be addressing the QC issues that have plagued them in the past. In many ways, the company deserves to be applauded for being brave enough to launch lenses that are based on older designs. The new 50mm Nokton M f1.5 asph looks like being a viable alternative in M mount to some of Leica’s own lenses, and that is no mean feat. The Heliar 12mm is an interesting and sometimes challenging lens to use, such an extreme wide angle won’t suit everyone but it isn’t a lens anyone would buy on a whim. If you want it, it probably means you can handle it and it will complement your style. In that case, it will reward you with sharp images of good contrast. My Leica MP and current Leica lenses have been carefully selected for their optical performance and compact size, they are my choices but every Leica M rangefinder user will have their own opinion on their personal preferences. Leica rangefinder photography for me, is not primarily about wide aperture, outrageously expensive lenses. I sold my late version Noctilux f1 because I didn’t use it enough to justify keeping it. I’m not sentimental about stuff I have no real need of and pride of ownership is not a sensible reason to keep anything that isn’t being used. The diminutive Elmar-M 50mm f2.8 has always been my first choice of 50mm on the Leica MP rangefinder film camera and the combination of compact balance and speedy focusing is near perfect for my needs. Using a Leica M rangefinder film camera is more to do with convenience and portability and the quiet confidence that comes from using well-balanced equipment that won’t let you down. 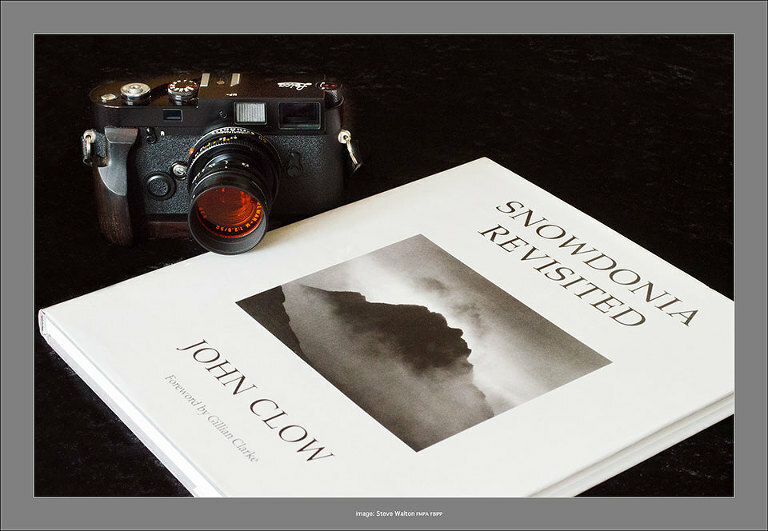 What better reason to go out and make images with a camera I am at ease with, suitably inspired by a book of exquisite landscape art by one of my most admired UK mountain photographers: Snowdonia Revisited by John Clow. 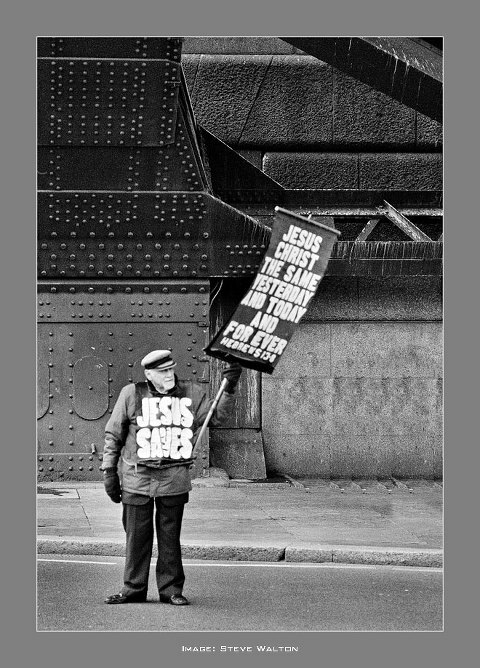 Now there was a man who had a profound effect on the early direction of my photographic journey. I never tire of leafing through John Clow’s work. Both John’s books, The Mountains of Snowdonia and Snowdonia Revisited are beautiful, artistic, evocative and inspirational. Within these books, John Clow has left us with a priceless legacy of a true master photographer. Leica have remained faithful to Oskar Barnack’s original remit for a compact miniature rcamera and owes part of it’s survival as a company to resolutely staying on the same course that Barnack set all those decades ago. The MP rangefinder is probably the last 35mm film camera I will ever buy, I knew this at the time of purchase and it seems a fitting finale to the film period of my career. It is a fine mechanical camera, no better or worse than some earlier M cameras (think M2 & M4). Like a favourite watch, I feel it’s absence when I don’t have the MP with me but there is now an interesting alternative to my traditional film approach. In the Leica Monochrom, Leica seem to have produced an instant classic, finally we have a digital Leica M that lives up to all it’s promises of reliability and astonishing imaging quality, whilst maintaining Barnack’s original ethos of reliable portability. If the MP is the last film M I will buy, the MM will probably be the first digital M I will buy. Until then I’ll continue using the Leica MP with a smile. You don’t need a Leica M but as a pocketable, creative documentary camera it takes some beating. The fun factor is unmatched, with a Leica M and just a couple of rolls of Tri-X or Delta 100 and one or two lenses will launch the world of traditional Leica photography. Add some basic film processing equipment and a scanner or even go the whole way and return to the darkroom and this suddenly becomes a way of life. For the Leica M 35mm film shooter, documenting your surroundings and the transient passage of time and space as others move in and out of it is addictive. The getting-your-hands-dirty approach won’t do for those who want the instant gratification of digital photography but film does encourage a little prior consideration and pre-planning your photography. Not a bad thing, it’s good to return to one’s roots for those of a certain age or for those who aren’t afraid to try something different. There are strong opinions held by many Leica M users who say that one should never, ever, sell a Leica lens lest you cast yourself into a wilderness of regrets and despair for being so rash. I couldn’t disagree more with any of this. I never have seen the point of doggedly hanging on to equipment that is not going to be used. This is the position I once found myself in with my Noctilux. The simple fact is I did not use my late version 4 Noctilux often enough to justify owning it. It is a heavy, slow, unpredictable oaf of a lens which renders images in an exquisite way with some unique properties, but it’s just not for me. That isn’t to say the lens is impossible to use and create with. In the right hands that are suited to it’s chatacteristics it is an amazing optic, but if there was ever a lens that reveals one-dimensional camera ownership, then it is the Noctilux. It takes no prisoners in so many ways and delights in revealing artistic and technical incompetence, especially obvious on forums within those whose primary raison is rooted firmly in pride of ownership. There are others for whom the Noctilux and their personal style of image-making is just incompatible and I’ll include myself amongst them. Having accepted that reality, why on earth would I regret the sale? I admire anyone who creates good images with a Noctilux in the same way I admire anyone who creates good images with a camera phone or pinhole, they deserve their pedestal. When I was made an offer for what I felt was an absurd amount of cash for my Noctilux, it was an easy decision for me to accept the offer. The only regret I have about selling mine is in not buying a truck-load of Noctiluxes at the same time I bought it. A potential 500% return on the investment in less than five years isn’t a bad deal, but there is no escaping the fact that most f1 Noctiluxes are with their second, third or more owners. I suspect for many, a Noctilux is a lens to aspire to and ultimately nice to have until it needs to be liquidated for something more nice or useful. What I do know is that the new owner of mine, a wealthy young Russian living in Cyprus, just couldn’t get on with it. I doubt he kept it for long. I return to my original philosophy that the Leica MP rangefinder film camera for myself is about peerless compact and discreet precision photographic equipment. This could even be linked in some way to my newly rediscovered current preference for considerably smaller print sizes than I previously made. There is often something compelling about small things which demands care and attention in their creation and appreciation. I’ve personalised my Leica MP rangefinder film camera a little with a wood grip (auction site sourced and made in China, as you might expect). I’ve also replaced the rather nasty original Leica strap, firstly with an Artisan & Artist black silk rope and that in turn with a beautiful black leather Deadcameras Slim Strap with matching red dots (a nice touch, Deadcameras!). I am delighted with it, please read my full review of the Deadcameras Slim Strap here. My most used Leica rangefinder lenses are 28, 35, 50 and 90mm. I find this is a versatile range for my purposes, I can choose to go out with 1, 2, 3 or all 4 lenses and just get on with enjoying the photography. A 35mm Summicron-M and a 90mm Elmarit-M two-lens kit and a 50mm Elmar-M single lens are useful for street shooting and a 28 & 90 pairing make a good walking and backpacking option. The 35mm summicron asph is probably my most-used Leica lens. Lately it seems to attract some forum negativity for being ‘too clincial’, ‘too contrasty’ or ‘too prone to flare’. Most of these opinions are what they are, simply opinions or, too often, attempts by some contributors to keep up with what is fashionable to say on forums. 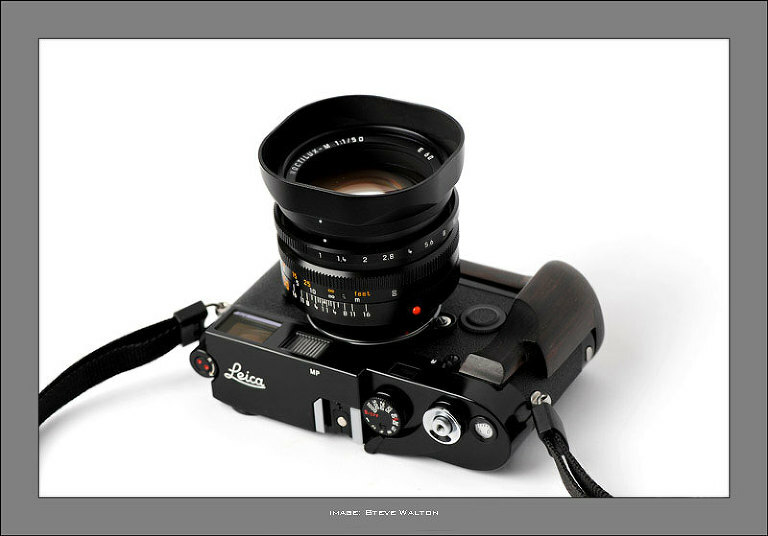 The 35mm summicron asph should find a place in any Leica M outfit, it is, and this is my opinion, one of the best general purpose lenses available. Small, unobtrusive, sharp as a scalpel and quick to focus. Best of all, it has the 39mm filter thread, which is what my personal lens set is based around. Contrasty? 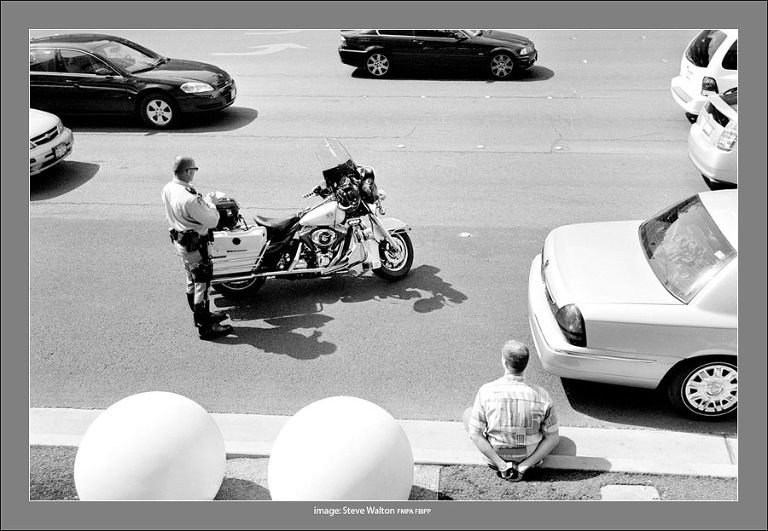 Yes, this image above was taken on The Strip in Las Vegas around the middle of the day. Conditions don’t come much more contrasty than the Nevada desert at lunch time, but my 35 summicron asph didn’t shatter or melt the film. It’s a great lens, buy one! On the matter of contrast, the 35mm summicron asph with Rollei RPX25 film and a Heliopan R25 filter is a formidable combination. As is often the case in our part of the world a clearing storm followed by intense sunlight is made more intense when airborne dust and pollen etc is washed away by the rain. When contrast is there, why not utilise it! That little summicron draws with precision and misses nothing. The Cosina Voigtlander 12mm Heliar is another favourite. it’s a reasonably sharp lens with good contrast. I have a preference for wide angle lenses in most formats and the CV 12mm is the widest rectilinear lens available for use on rangefinder cameras. I’ve had mine since CV released the lens. Mine is a first generation 39mm screw mount lens with an M-mount adapter permanently fitted and a 77mm filter adapter to enable the use of screw-in Heliopan filters and I mainly use an orange filter with black and white film. Second version lenses are in M mount with a revised evf and built-in lenshood. A lens this wide gives dramatic perspectives to landscape and architectural work and the fall-off is pronounced with heavy vignetting, as you would expect. It’s a nicely built lens without much to go wrong. Focusing is aided by a finger tab and there is no rangefinder coupling, which is unnecessary on such an extreme wide angle lens, but there are detents at 0.5 metre and 1 metre points on the distance scale. The focus throw is very short and precise and the aperture ring detents are positive. The external viewfinder is mandatory but with so much in the scene it helps to centre one’s eye in the eyepiece carefully before tripping the shutter. The 1st generation external viewfinder is also an optical marvel but prone to damage, as I found to my cost when I dropped mine onto cobble stones when photographing a wedding in London several years ago. The impact has left a small chip right in the centre of the curved front glass and is clearly visible when looking through the viewfinder. I’ve learned to live with it! The image below of the English Civil War battle site obelisk at Naseby illustrates the perspective characteristic of the CV 12mm, taken on Ilford FP4+ with orange filter. The Elmarit-M 90mm f2.8 is a beautifully made lens and always forms one third or one half of any three or two lens combination I might choose. 90mm is a versatile focal length, ideal for portraits and landscapes where the emphasis is on tight crops and details. The Elmarit-M 90mm f2.8 is razor sharp across the field at all apertures and distances and displays no distortion. It’s a lens that instills confidence, it doesn’t shout for attention and it isn’t bloated by an unecessary wide maximum aperture. The sensible f2.8 maximum aperture is wide enough for most applications and it just gets on with the job of producing beautiful distortion-free images. I find myself using this lens far more than I thought I would when I bought it and I would not want to be without my Elmarit-M 90mm f2.8. It partners well as a travel option with my 28mm summicron f2 asph, with which it shares the same 46mm filter size. After Cosina Voigtlander released their new range of ltm Leica-compatible Color-Skopar lenses back in 2002, I bought the 28/3.5 to add to my lens set based around the 39mm filter thread for backpacking and hillwalking. Initial responses to the range were mixed, but I added the CV21/4 later thinking it would be comparable quality with the 28/3.5. With these Color-Skopars, CV presented a cheaper alternative to far more expensive Leica rangefinder lenses. Unfortunately, the CV21/4 was a frustrating disappointment to me. Apart from the poor build quality and feel, it had a horrible propensity to flare at every opportunity which resulted in an unacceptable number of ruined negatives and transparencies. I quickly got rid of the CV21/4, but the CV28/3.5 Color-Skopar was, and still is, in a different league to all of the other ltm Color-Skopars, both in construction and imaging qualities. The CV28/3.5 has a surprising but reassuring weighty feel in the hand, quite unlike any others in the original ltm Color-Skopar range. It seems to be constructed mainly of brass and glass, even the vestigial lens hood is a brass ring and has a smooth, self-lubricating feel when changing filters. The aperture and focus adjustments also have a higher quality feel with none of the rough, binding feel of cheaper alloy constructions, as used in the CV21/4 ltm. Both rings have tabs to aid adjustment and one finger focusing is very easy. At all of the most-used apertures the CV28/3.5 is sharp across the field with good contrast, at full aperture the image is adequately sharp in the centre and soft at the edges and corners as one would expect. The lens is tiny, with the appropriate CV ltm-M adapter, the 28mm frame lines are brought up automatically in those cameras with 28mm frame lines and the lens does not intrude at all into the viewfinder of my 0.72x Leica MP rangefinder film camera. Although discontinued in 2007, the CV 28/3.5 really is the stand-out lens in the Color-Skopar range and will continue to prevent me from buying the 28mm Elmarit-M f2.8 asph for as long as I continue to use a film Leica and and a lens set based around 39mm filters. The most recent lenses are now several years old and likely to have been well-used, but the higher quality construction of the CV28/3.5 should ensure they will continue to give top quality images, given reasonable care in use, at a bargain price.